Nigeria is a complex country. It is a convoluted mix of ethnicities, religions, and political interests among other things. Ironically, it is these complexities that have held the country together, while at the same time preventing it from attaining the promise it has always had of being a major force on the African continent and the world at large. 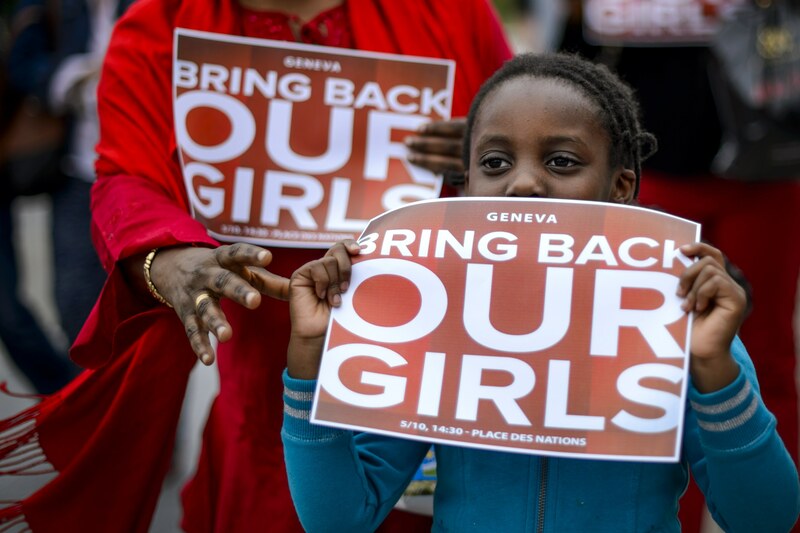 In recent weeks, the country has been the focus of the global news media over the unprecedented abduction of almost 300 girls by the terrorist group Boko Haram and the government’s arbitrary response, not only to the abduction but to the Boko Haram insurgency that has lasted half a decade already. A combination of factors have allowed Boko Haram to get away with so much, including the massacre of 59 teenage students in Buni Yadi in February and 42 in Mamudo in July 2013. They have carried out massacres in markets and routed villages almost unchecked despite a state of emergency imposed on three North-Eastern states in the last one year, a period in which the numbers of casualties in the conflict have increased. When the group started its insurgency in 2010, running around on motorcycles and gunning down local chiefs and religious leaders that had supported the 2009 military crackdown against the sect or spoken against its radical teachings, a nation inured to the killings of hundreds in ethnic clashes dismissed it as no more than the pesky inconvenience of radical Muslims killing other Muslims. Not even when they started attacking communities killing dozens of people. In 2011, with the bombings of the police headquarters and the UN offices, both in Abuja, and a deadly Christmas Day church bombing just outside the capital, President Jonathan, from the south, was convinced by his advisers that the insurgency was being sponsored by some prominent people from the North, a region that had been openly hostile to his presidential ambition, with the aim of making the country “ungovernable” for him. Unsurprisingly, Jonathan and his supporters have clung to unguarded statements by disgruntled “northern elders” threatening to scuttle his presidency and he has sold many of his supporters the idea that these elders’ silence, or refusal to openly condemn Boko Haram, as most people in the south would term it, is proof of their complicity. In reality, the northern elders have been terrorised into silence by Boko Haram’s targeted killings of those who dared to speak against them. Regardless, it is this notion that informed the government’s slow response to the abduction of the 300 girls from Chibok a month ago. Early reactions from the presidency seemed to suggest doubts that the mass abduction had even happened, with some of the president’s supporters suggesting the abduction was staged to pressure the president and make him look bad. Whether the president has done much to make himself look good is another issue altogether. But his decision to prioritise campaigns for next year’s election over the insecurity that has plagued the country, his being photographed dancing hours after two major bombings where heavy casualties were sustained, his apparent endorsement and shielding of corrupt officials in his government and some anti-people policies suggest a pathological callousness. Some of his aides have made matters worse. His adviser on New Media, Reno Omokri was caught out when his digital signature was found on forged documents sent out under the name of a fictitious Wendell Simlin linking suspended Central Bank Governor Sanusi Lamido Sanusi with terror attacks in the country. (Sanusi was forced out of office after he insisted that $20bn oil has not been remitted by the national oil company into the federation account). Despite widespread condemnations, Mr Omokri has remained in office. Recent Twitter comments by another senior presidential aide Doyin Okupe suggesting that protests calling for the return of the abducted girls and criticism of the president over his handling of the crisis are borne out of envy suggest a deeper, more worrying situation: that the aides have successfully isolated the president from reality. But to be fair to Jonathan, some of the problems have preceded him. The failure of different levels of governments over the years have created the ambience for potential terror groups like the Boko Haram to thrive. There have been precedence like the Isaac Adaka Boro-led uprising in the Niger-Delta in 1966 over environmental exploitation, the Maitatsine-led uprising in the North in the 80s, fuelled by a fanatical religious sect and a litany of civil unrests mostly driven by ethnic or religious differences, especially in the last 15 years since the return to democratic government. These have provided ample precedence for the authorities to take measures to prevent the recurrence of similar situations, but repeatedly the country has failed to take heed. Beyond corruption and cronyism, the failure of the justice system is at the heart of the recurrence of this phenomenon. Since 2009, when Boko Haram’s first violent uprising was brutally crushed by the authorities forcing them underground, there has only been one prominent trial and conviction: that of the sect’s commander Kabiru Sokoto, found guilty for the 2011 Christmas Day bombing of a church just outside Abuja. Three years ago, President Jonathan said he knew who the sponsors of Boko Haram are. Till date none of these sponsors has been outed, arrested or prosecuted. The authorities’ standard response to total breakdowns of law and order, often resulting in the deaths of hundreds of people has been the establishment of commissions of inquiries, whose reports are often overlooked. While most times the instigators of these violent riots are known, their closeness to those in power often ensures that no one is even prosecuted for what are typically war crimes. The template for this was set when then military President General Ibrahim Babangida commuted the death sentence on his soldier-friend, General Zamani Lekwot and others, for masterminding an ethnically motivated mass murder in Kafanchan in 1988. Ever since, such riots have grown in frequency and intensity. Perhaps nowhere is this demonstrated more than in Jos, Central Nigeria, where I was born and spent most of my life. Between 2001 and 2009, I survived a series of ethno-religious violence, each one worse than the last, in the process losing everything I had when the house I lived in was torched by youths we played Sunday morning football with in the backstreet. Despite the hundreds that have died, no single person or group has been convicted for inciting these killings, the many committees that have been set up to “probe the remote and immediate causes of the incidents and the masterminds behind them” notwithstanding. Exactly a year ago, 74 security personnel were murdered by the Ombatse cult in Alakyo when they went to arrest an animist sect leader who was accused of forcibly converting people to his faith, among other atrocities. No single person has been arrested for that unprecedented murder despite a commission of inquiry indicting among others a serving senator and a member of Nigeria’s House of Representative of being behind the sect and the murders. If in the next few years the Ombatse sect, which clearly has political goals (its name means “It’s our time” in the Eggon language) having got away with the mass murder of law enforcers, overruns the state, Boko Haram-style, and becomes a national problem it is most likely then that the politicians will start the blame game all over again. The fact that history is no longer being taught in schools suggests that policy makers in the country do not wish for Nigerians to learn from mistakes of the past, neither are they willing to break the vicious circle of brutality that has held the country in its grips. And while the rhetoric goes on and the buck passing continues, the fate of nearly 300 girls rests in the hands of Kalashnikov-wielding fanatics without conscience. Thank you, Lucid Gypsy. I will try. Nigerians evidently have short memories. Our problems compound by the day essentially because most of our political leaders have become visionless. And increasingly and dangerously self-centred. Consequently the moral decay and corruption in the land has given birth to all forms of vices and often deadly agitations from different groups in the federation. Surely we need to revisit our history books to learn from the pitfalls of the past. Well researched write-up there from Abubakar Adam Ibrahim. Thanks. We need to do things right and it starts with doing justice. Hmmmmmm! What more can one say? In reality though, the matter is a bit more complex than this. First, what if some of the alleged “known” financiers who are powerful members of society really do have a disintegrationist or other subversive agenda–which is known by government? What if government is afraid that arresting these ones will make an already bad situation worse? Does it not worry you that some of the brand new hilux vans used by insurgents have allegedly been traced to the government house of a state in the North East? Is it not even more troubling that a government spokesperson in that state has reportedly come out to claim that the vans were “stolen”–thus admitting that they indeed came from that source? Do such stories make it any easier to deny claims of sponsorship leveled against these people? In the end, I think that humans in general are not great fans of history and benefit very little from the benefits that history provides. Nigerians are just being typical. Sir, the bottom line is that the attitude of conferring “Above the law” status on certain individuals has got us this deep in this mess. What stops the government from dealing with whoever puts his interest ahead of the country, at the expense of the lives of Nigerians? Now we hear nine generals are being investigated for selling arms to Boko Haram, tomorrow, because of who they are or where they are from, don’t be surprised if the issue is swept under the carpet, just as the case against Gen. Azazi selling arms to the Niger-Delta militants then was swept aside.